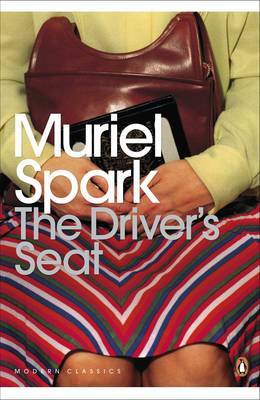 I’ve written about Muriel Spark before on this blog – was it really over five years ago? – but that was one of her later books, as by then I’d read most of the novels from her greatest and most productive period. (That, I think by pretty common consent, would be the 1950s to mid-1970s.) In a recent phase of trying to avoid all the new titles coming in to catch up with older books, I decided to reread a book that is one of her shortest, most memorable and certainly starkest. This is certainly what Spark has done in The Driver’s Seat. The beginning is very close to the end. We meet Lise, about whom all we know initially is that she is thin, 34 years old and has worked in an accountants’ office since she was 18 (“except for the months of illness”) – indeed, we don’t get to know much more about her in the traditional character-building sense in the rest of the book. She is contrary from the start: her first act in her story is to manically tear off a dress that she is trying on because the shop assistant has told her it doesn’t stain. Although she says this is because “I’ve never been so insulted … Do you think I spill things on my clothes?”, we learn that really it is because Lise does not want to repel the unwelcome or destructive: she wants to absorb it, inhabit it. She contradicts the assistant too in her choice of what to wear: clashing colours, eye-watering patterns. She wants to be noticed, remembered, found. Here I hit the usual reviewer’s wall, in wondering how much I can reveal of The Driver’s Seat without limiting its effect. Like Golding’s Pincher Martin, it has an ending which is not just unforgettable but unremovable from the brain: you will never get rid of it. I read it this time knowing what was coming, but what I had forgotten is that Spark gives us some pretty strong hints along the way. Less than 20 pages into the book, for example, we learn Lise’s ultimate fate, and the warnings from the future come regularly thereafter (“So she lays the trail…”). This is an extension of the technique that Spark adopted in The Prime of Miss Jean Brodie, where the narrator’s eye would rise for a moment to look into the long distance and report back what happens in the end to various secondary characters. What Lise is doing when she contradicts the shop assistant is preparing to go on holiday. This is triggered by an incident at work, where an exchange with her immediate superior leads to her laughing “hysterically” (there is a lot of hysteria in The Driver’s Seat). She finished laughing and started crying all in a flood, while a flurry at the other desks, the jerky backward movements of her little fat superior, conveyed to her that she had done again what she had not done for five years. The question of control is central to The Driver’s Seat, as the title implies. When an elderly woman observes to Lise that “you have your whole life in front of you,” the reader raises an eyebrow knowingly, but it is notable less as dramatic irony than as an example of the author’s omnipotence. The presence of the writer – those flashes forward to the future, to the world outside the book – ensure that the reader never forgets that this is a story, not reality, and this conflicts with the psychological mining the reader wants to undertake in order to explain why Lise does what she does. She does it because her creator makes her do it. Spark’s characters are, in Nabokov’s phrase, galley slaves. It is the author, not Lise after all, who is in the driver’s seat. Stannard selects [it] as her “masterpiece”, apparently because it excludes the kind of person he feels superior to (“Readers seeking the comforts of realism are slapped across the face and sent spinning”). There is an unpleasant tone to this comment, but what struck me more is that, if it is doubtful to judge a book on how you expect others to react to it, it is odder still to judge it by someone else’s expectations of how others will react to it. 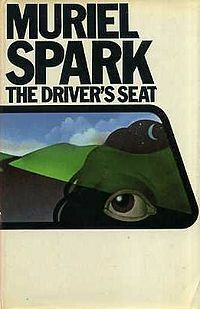 Carey observes with apparent disappointment that The Driver’s Seat marked for Spark a move away from “novels with intelligible plots, characters and moral issues,” with the implication that he approves of those. But I do not think it lacks any of those qualities. It is a refinement on and progression from Spark’s earlier work, rather than a departure from it; a horror story in broad daylight. It is a scalpel, cutting away the excess of the traditional novel and leaving only the core. It is a stiletto, piercing straight to the heart – or thereabouts. “There are many books whose beginnings or endings are praised, but how often do we say, The middle of that book? I couldn’t get enough of it.” Very true! And if it doesn’t tell us a single thing we want to hear, that sounds to me like a very good reason for reading it. Who said reading John Carey “leaves me feeling that I and the world have been made smaller and meaner”? And how right were they? That’s true, inthebrake, and he was one of the first to praise Ishiguro’s The Unconsoled (which also features in Pure Pleasure). His thinking here is closer to The Intellectuals and the Masses, which as you say, is not coming from the same ‘good place’ at all. Also, Stephen is quoting, I believe, Gabriel Josipovici in his fantastic book What Ever Happened to Modernism?, which I recommend. I was thinking that, Jonathan, as I read The Driver’s Seat. I didn’t want to mention it in the review as it would be impossible to do so without giving away the plot (or what little of it I didn’t already give away). I noticed too that Russell Stannard, in his biography of Spark, refers to Lise as a “murderee”, which was one of Amis’s working titles for London Fields. Your reviews can highlight a day for me. On my list, though I now stretch my time writing and wished I wasn’t such a slow reader. I took the warning that knowing too much may detract from the effect of the book and will return here after I read the book. I am working my way through her books, a couple each year. I imagine that when I finally finish them I will start rereading them. The Driver’s Seat was the second Spark novel I read, and not, to be honest, a favorite. I recall admiring it more than I liked it, though perhaps I didn’t read it in the proper spirit. Spark is, after all, a very mannered, controlling writer, and I think I was expecting something a little closer to realism. Have you read Spark’s follow-up novel(la), Not to Disturb? It’s a lesser novel than The Driver’s Seat, but it has some of the same themes, but treated in a more morbidly funny fashion. I’d expand on the similarities, but doing so would require spoiling the plots of both books, and I certainly don’t want to do that. In your review, you write that “It is the author, not Lise after all, who is in the driver’s seat.” Not to Disturb seems to me an extension of that idea, a book about authors, the grand Author, and the possibility of freedom. I tend to think it’s a parody of a deterministic worldview, but it would be equally possible to read it as an affirmation of it. On an entirely different note, The Driver’s Seat was actually filmed, with Elizabeth Taylor, of all people, as Lise. And a cameo from Andy Warhol. I may read this as my next Spark. The brevity appeals, the concentrated nature of it. Regarding middles, people do say that. The words they use though are “I didn’t want it to end”. It’s one of the great appeals of fat fantasy series, or ongoing crime series: they don’t really end, or not until the author dies or fakes their death to hide from their fans anyway. I’m with Vonnegut on this one though. Nice review as ever John. You’re right of course, Max, they do say that, don’t they? Maybe that’s why books without ends – or unending series – have never appealed to me. I like things to end. It crystallises the sense of the book (or series of books) as a complete work, over which the author has some sort of authority. I’m unsure why that in itself should feel so important to me – an illusion, I suppose, of control – but it does. It matters to me too, just as much I suspect. I think it’s because never-ending series are looking to do something very different than the kinds of books you and I tend to like. They’re about escape into an alternative world, one that like our world can absorb as much life as you wish to give it. I’d distinguish between intentionally open ended series like many fantasy sagas are and say series where a character recurs that could potentially be ended at any time (like say the Rebus novels). The latter is more to do with using economies of famliarity to cut to the stuff your readers are likely most interested in, coupled with the emotional reward of reconnecting with hopefully much loved characters. Literature as high art though I think needs to be a complete and completed work. It sets out do do something more than simply allow us to escape or to reconnect us with familiar characters, and it needs to be a discrete statement. That doesn’t obviate sequels, trilogies or whatever but I think it does necessitate a concept of what the total work will be. Hi Alan, If I ever knew your email, I can’t find it now, and I can’t send a a private message on twitter, so a comment it’ll have to be. Is anyone doing anything about reviving palimpsest? I’ve tried Wavid and Stewart to no avail. This, by the way, is Gil – gil@mythaxis.co.uk . Thanks for the message, Gil. I’ve sent you an email. The Driver’s Seat has long been a favourite: missed you covering this initially. It’s a remarkable book that’s remained fresh in the memory like very few novels (I always have The Grifters and 1982, Janine in mind when it’s mentioned – no idea why, other than that they’re both books I similarly can’t shake). As for John Carey: I’ve always felt that he was a bit of ‘literature tourist’, a man best suited for something else (quantity surveying? Town planning? Banking?) but someone defiantly meddlesome about ‘the arts’ for some obscure and savantishly patronising reason. As with David Lynch when he used Siskel and Ebert’s ‘Two thumbs down!” review to promote Mulholland Dr., his criticism of work is best considered a good reason to seek it out.